A 15-year-old Danish boy has been taken into care after fears he would become radicalized and his Muslim father would send him to Syria. The boy had begun to attend the Grimhoej mosque, which has become infamous for not denouncing the Islamic State. The boy, who has not been named, was taken away from his father in September according to a report that was released on Sunday. However, Danish authorities began to become concerned about the teen almost exactly two years ago. 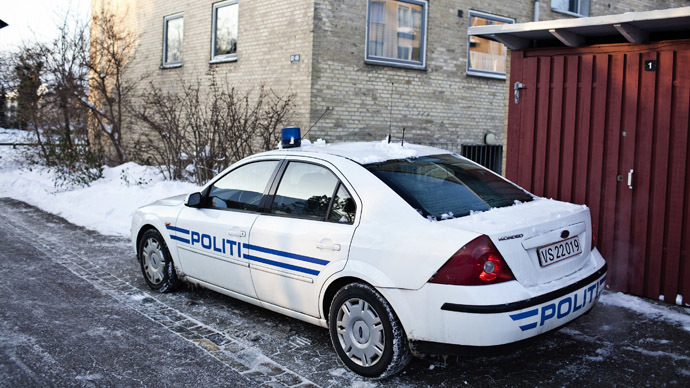 In March 2013, police in Aarhus, were worried about the boy’s father, who received an Islamic education in Algeria and then later moved to Denmark, where he was granted citizenship. By April 2014, his mother, who divorced the boy’s father two years earlier, had also started to worry about her son and his apparent radicalization, noting that he had mentioned an interest in “holy war.” Later that summer, he had even told some of his classmates of his intentions to go to Syria, while he had started to attend the Grimhoej mosque. The place of worship has become infamous in Europe as a breeding ground for young radical Muslims. The mosque’s leader, Oussama El-Saadi, has spoken of his disregard for democracy, while also praising a Danish suicide bomber, who carried out an attack in Iraq. “We want the Islamic State to come out on top. We want an Islamic state in the world,” Saadi said in a documentary broadcast on Danish television channel DR in January. Police decided to act in September after becoming increasingly concerned about the youth’s wellbeing due to the influence of his father. Law enforcement officers were worried that the boy could become a safety hazard for Denmark if he continued to be radicalized by his father, Iullands-Posten adds. He was forcibly removed from his home as the authorities stated that there was a danger his father could send the boy off to wage holy war in Syria. The father’s lawyer has slammed the decision to send the boy into care, adding that the father is not allowed to contact his son by phone, email or even send letters. "You cannot forcibly remove a child just because you believe he is becoming radicalized. You do not put adults in jail based on fears of radicalization. You just take away their passports,” said the father’s lawyer Tage Goettsche, as reported by the Berlingske newspaper. The lawyer added that supervised access to the child with specialist counselors would have been a more effective alternative and there was no need for the state authorities to go to the extremes that they did. Merte Olesen from the Center for Families, Children and Youth believes the authorities were correct in taking the boy into care, adding that it is their duty to look for signs that a child has been radicalized, whether it is political or religious in nature. “If a young person has very strong opinions and has been showing significant changes in behavior, which has extremely negative connotations in regards towards Danish society, or has shown sympathy towards extremist groups, this is something we must be aware of,” she told Jullands-Posten. Aarhus, a city of 324,000 residents, has become synonymous in Europe with being sympathetic to the radical Islamist cause. As many as 30 Muslims have left the city to travel to Syria to fight for the Islamic State. Around 110 Danish citizens are believed to have gone to Syria in total, according to intelligence estimates, AFP reported. Denmark is still coming to terms with a shooting on February 14, when a gunman killed two people in separate attacks in the capital, Copenhagen. Danish-born Omar Abdel Hamid El-Hussein, 22 who was of Palestinian decent was apparently inspired by the Charlie Hebdo terror attacks in Paris in January, which left 12 people dead. The attacker had been released from prison just two weeks prior to the incident after he had served time for aggravated assault.